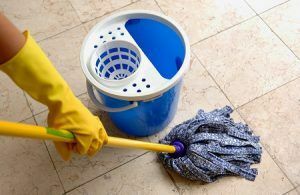 You know well enough that home cleaning is no easy job, as it requires a ton of time and effort. How will you feel if you found out that there is, in fact, an easy way to address the job? No doubt you will be overjoyed. Well, by hiring Top London Domestic Cleaners you can be sure that cleaning your place will never be an issue. Our company provides reliable domestic cleaning in Holborn and other areas of the capital. Cleaning on the weekends and every other day of the week can be a big nuisance. You won’t get to do what you prefer, but do cleaning instead. With Top London Domestic Cleaners around, it won’t be like that. You can leave the cleaning to us and do whatever you prefer. Having your home in decent shape without you investing a single minute in it is truly magical. You can go outside, catch up with friends, just relax and do nothing or whatever you want. Such freedom is possible now thanks to having the right domestic cleaning service on your team. A single phone call at 020 3322 8143 can assure this. Our regular domestic cleaning service is geared towards everyone that wants to have their home cleaned by our professionals on a frequent basis. This will allow you to experience the best of having a clean environment without the drawback of doing all the work. Since all of our expert domestic cleaners are well-trained, you can be sure that they will not miss a single detail of the job. 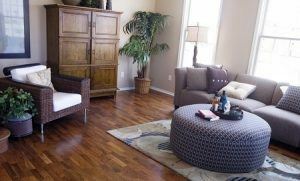 You will be pleasantly surprised to find your home in a state like this after returning from work. So, without any more doubts, do contact us at 020 3322 8143 and we will arrange things for you. It won’t be long before you reap the wondrous benefits of our service. Holborn is a district of Central London, within West End. It falls under the territory of the London Borough of Camden. One thing about the location of Holborn – in the middle between West End and the City – is that it has attracted a lot of lawyers and journalists. Despite most of the newspapers moving to Fleet Street in the 1980s, there are still plenty of media professionals in Holborn. Hotels are thriving here as well since the area is mostly commercial. This means it gets quiet at night and at the weekends. For people interested in getting a sweet panoramic view of the capital, the area around the Victoria Embankment offers a nice location for that. Chancery Lane and Holborn are the nearest London Underground stations, while City Thameslink is the closest mainline railway station. It has never been easier to take care of your domestic cleaning in Holborn. Make a simple call to 020 3322 8143 and enquire today!